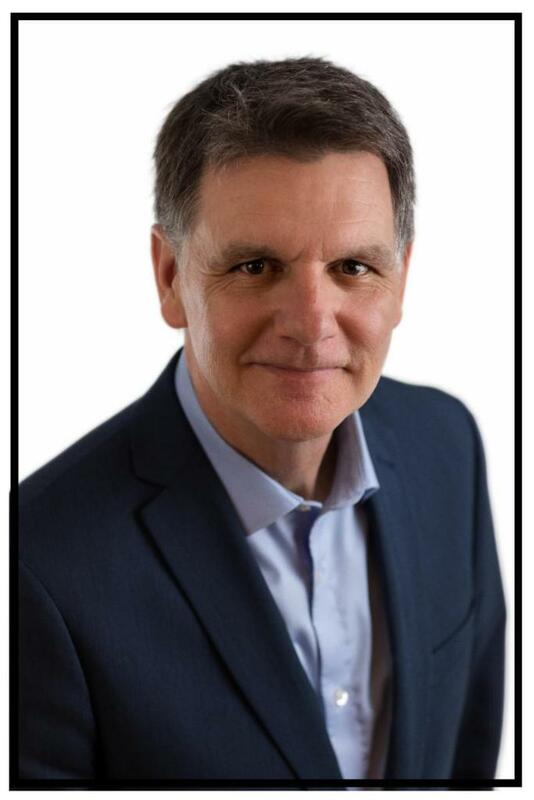 TIABC AGM registration open, Free Webinar on Proportional Representation - Register today! 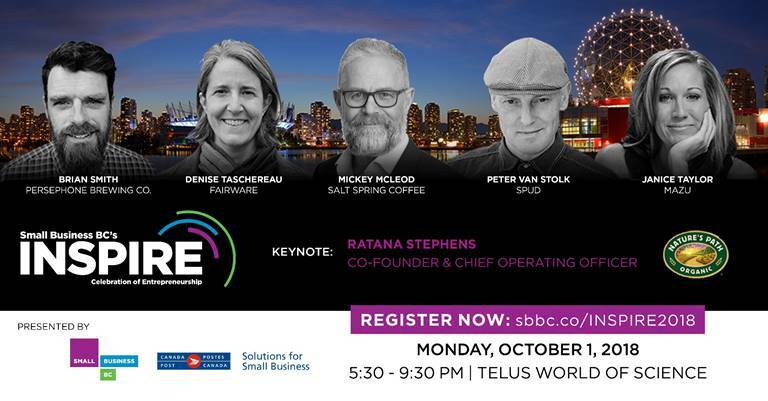 When Tourism Vancouver Island CEO Anthony Everett told conference delegates yesterday that since starting his job just nine months ago he had travelled 8,000 kilometres up and down the island engaging stakeholders, I could relate. In fact, this time of the year I essentially do the same thing but on a provincial scale, travelling to each region to meet with members and stakeholders regarding issues that impact our industry. Anthony’s remarks also reminded me of how much of Vancouver Island I have yet to visit, let alone tourism professionals to meet here and throughout the rest of the province. 1. What and/or how have government (at all levels) policies impacted your business or sector (positively or negatively)? 2. What, if any action have you taken as a business or organization? 3. 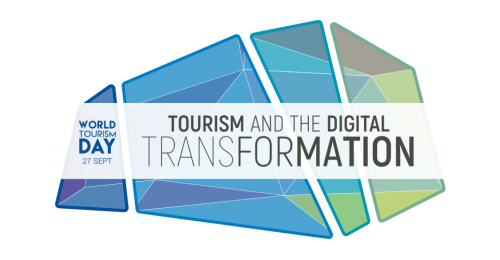 What does the tourism industry, and TIABC specifically, need to do to address these issues or opportunities? 4. What key messages can we deliver to various levels of government on your behalf? The feedback so far has been extremely useful to help inform TIABC’s Board of Directors on organizational priorities, as well as for revising or drafting new policy positions on important files. As you might expect, two primary areas of concern revolve around labour shortages and housing, both inextricably linked. Other issues I’ve heard more about so far include the tenuous future of sport fishing in BC, the potential ramifications of (federal) species-at-risk legislation, the desperate need for transportation infrastructure investments (e.g. Malahat Highway improvements), the unintended consequences of various taxes, the lack of funding security for Destination BC…the list goes on and on. Given that there are so many dynamics and moving parts associated with each issue, and at the risk of sounding coy, there are three possible answers to that question - yes, no, or maybe. However, what I can assure our Board, members and other stakeholders is that I do see steady, albeit slow progress on many files even if we haven’t yet achieved the desired outcomes. 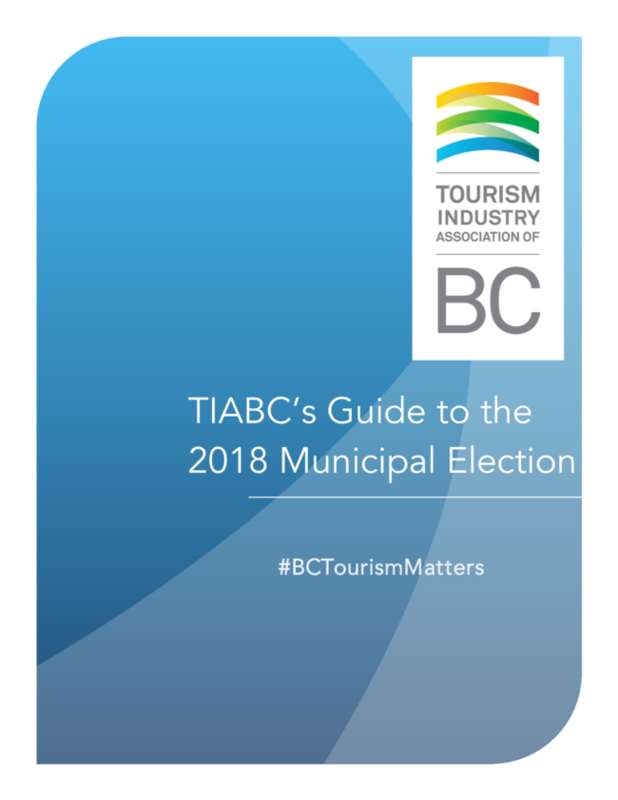 One indicator of making headway is the regular, candid, constructive, and informative dialogue TIABC has with the Ministry of Tourism, Arts and Culture, as well as other ministries, ministers, MLAs and MPs. Ideologically, we may have our differences on various issues or policies, but all parties remain open to listening, learning and sharing information. Tackling the aforementioned issues as a cohesive and united industry is paramount to the future of BC’s visitor economy. Your feedback, ideas and input are vitally important to the process. So I encourage you to attend your regional or sectoral conferences and pull me aside with answers to the four questions I referenced earlier so that I’m able to convey your suggestions, ideas and opinions to all levels of government. Like many delegates at Tourism Vancouver Island’s conference this week, it’s my first visit to Port Hardy and the North Island. I’m even more embarrassed to admit that it’s taken me 30 years to meet my first cousin who lives here. I look forward to attending the Northern BC and Kootenay Rockies tourism conferences next month. Who knows, I might even find more cousins that I’ve never met in Prince George and Cranbrook. 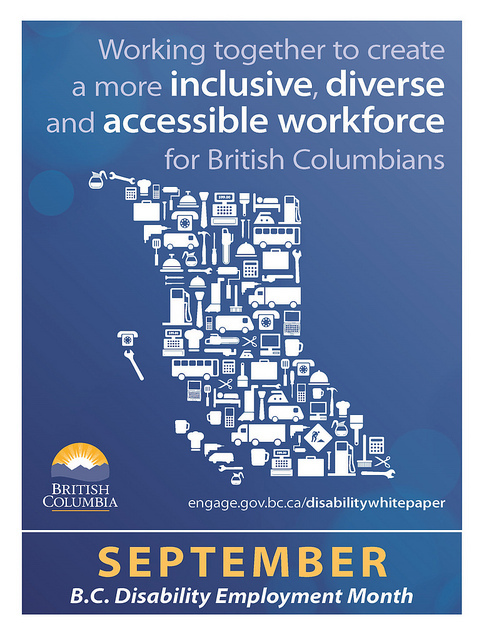 Join TIABC and ABLE BC for a webinar on Tuesday, October 9, 2018 at 10:00-11:00 AM PST. 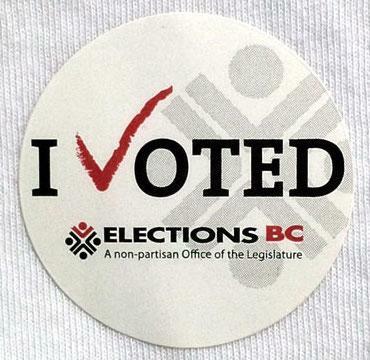 From October 22 to November 30 a referendum is being held to decide what voting system we should use for provincial elections. If more than half the votes support First Past the Post on the first question, the voting system will stay the same. If more than half the votes support proportional representation on the first question, the proportional system with the most support on the second question will be adopted. The webinar is free to attend . 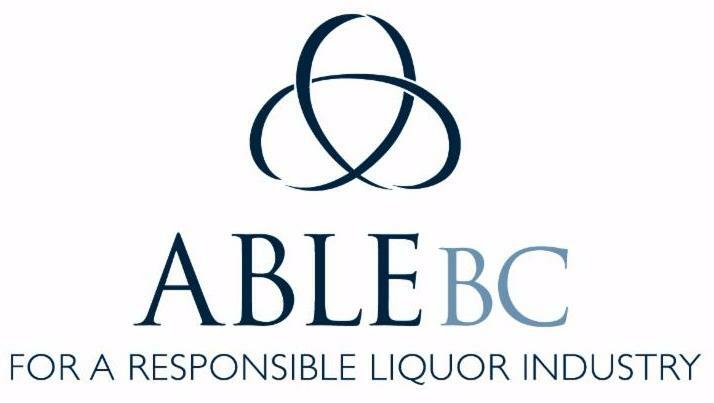 Register today for TIABC's annual general meeting on November 1st. In conjunction with the AGM, we are pleased to be able to offer our members a free China Readiness workshop. This informative session will provide plenty of great insights into the Chinese market. The workshop includes additional one-on-one time built-in to connect with a China Readiness trainer. TIABC is pleased to welcome Darlene Oswald to our team. 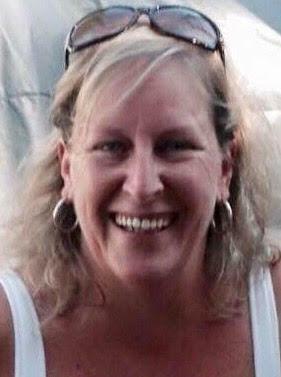 She will assist TIABC with administrative support and work closely with our dedicated Board of Directors. Darlene provides similar support to the BC Lodging & Campgrounds Association. 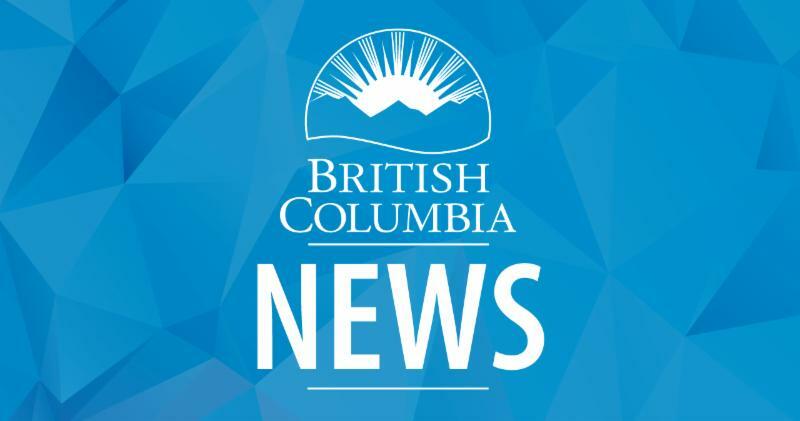 Below is important information about changes to how the provincial sales tax (PST) and municipal regional district tax (MRDT) apply to accommodation sold in BC. What is considered exempt accommodation is also changing. This means that accommodation providers that are not currently required to be registered to collect PST and MRDT, may be required to register effective October 1, 2018. Notice 2018-004, Notice to Accommodation Providers explains how these changes will apply. Please help by sharing/distributing this information within your organization and to your members. Watermark is situated in the heart of the town of Osoyoos on 1000 ft. of sandy beach. Adult getaways, family vacations, meetings and conferences are perfectly suited for this outstanding property. A Win for Thompson Okanagan Tourism! 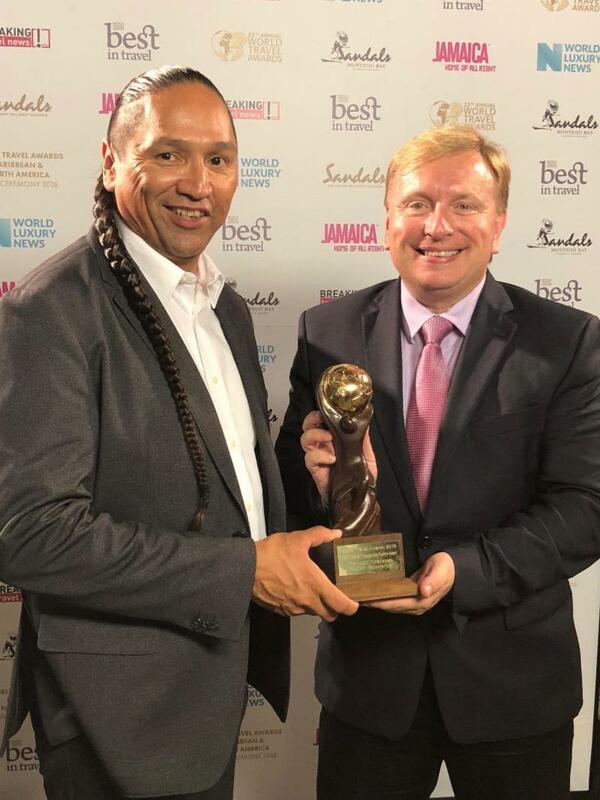 Thompson Okanagan Tourism Association (TOTA) was recently awarded North America's Responsible Tourism Award at the 25th Annual World Travel Awards. Do you currently hire people with disabilities in your business? If not, you’re missing out! Find out why it’s important for you to consider tapping into this non-traditional labour market. Effective training is key to helping workers understand about workplace safety and is the best way to prevent accidents. Designed specifically for young or new workers, the recently launched Foundations of Workplace Safety course will helps to prepare those entering the workplace with knowledge and confidence. This course also provides a great refresher for anyone working in the tourism and hospitality industry. The course is self-paced and self-directed. It will take approximately three hours to work through the content, and participants will receive a certificate when they successfully complete the course, final exam and course evaluation. 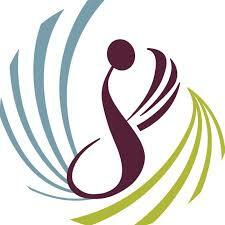 Furthermore, it counts towards credits in the BC high school Workforce Training Certificates 12 program. ** Please note that according to TIAC’s by-laws, no more than four (4) Directors shall be elected to represent any one industry sector. 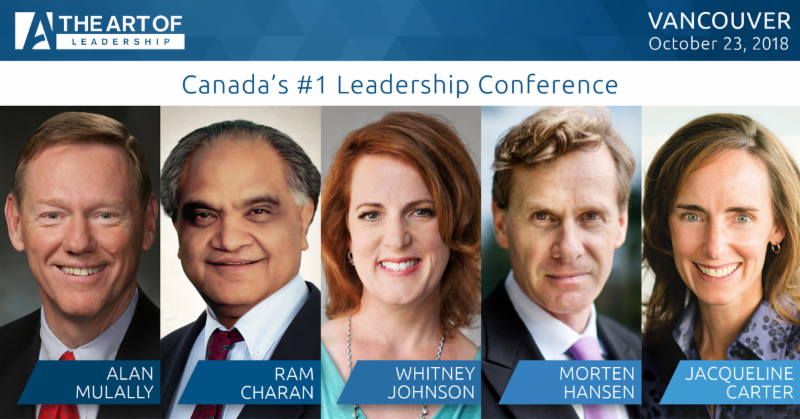 Currently, TIAC’s board includes 4 members in the Destination category. As such, nominations for this year’s vacancies must be chosen from other categories as noted above. For more details, please contact sandrad@tiac-aitc.ca or 613-238-7887. 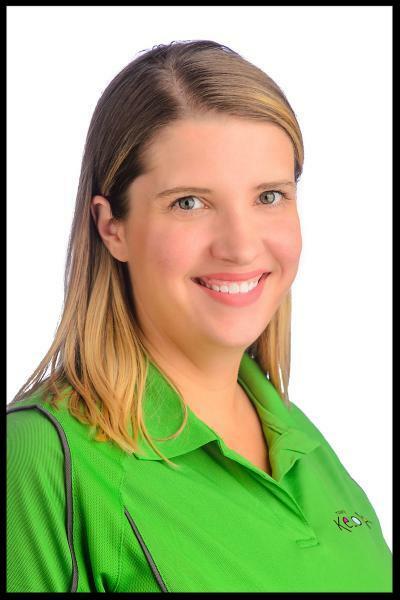 Tourism Kelowna is pleased to share that Melissa McCluskey has recently started a new role within their organization. Melissa will use Tourism Kelowna's social media and communication channels to inspire travellers to choose Kelowna as a must-visit destination and provide information to our stakeholders, industry, and community. Melissa has been with the Tourism Kelowna team since January 2016, and has connected visitors to experiences in Kelowna both in person at the visitor centre and mobile visitor centre, and through online visitor engagement. TasteFull Excursions Inc., service provider for Sun Peaks Resort has responded to the demise of Greyhound Bus Line by increasing their services to include shared seating and private charter rates with daily/weekly schedules to a myriad of locations including service to/from Vancouver International Airport. 100% Indigenous and woman owned air company, connecting travelers from Greater Vancouver into BC communities. inspiring, elevating, and supporting Indigenous tourism in BC. 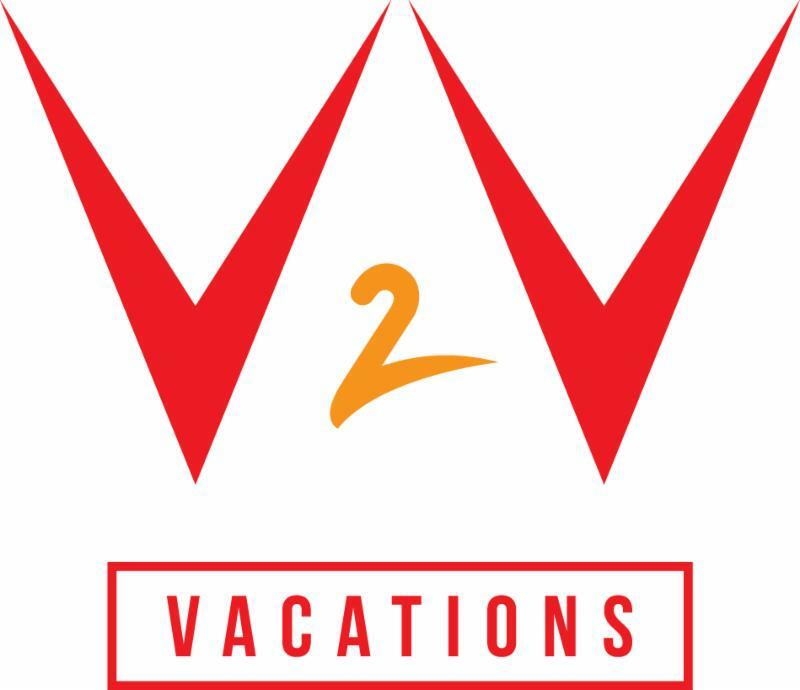 From September 20th to October 15th, V2V Vacations is offering day trips from downtown Vancouver to downtown Victoria. 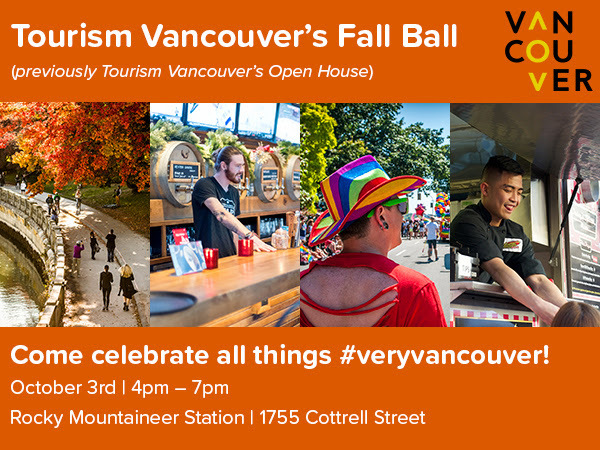 Easily accessible by V2V from downtown Vancouver directly to and from the Inner Harbour, Victoria. No bus transfers to ferry terminal required! 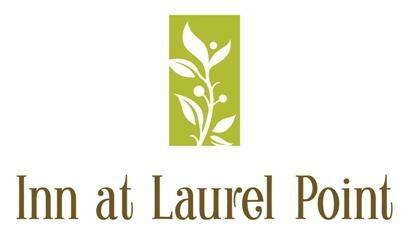 Beginning in October, Inn at Laurel Point will embark on an exciting renewal project to transform the hotel’s entrance, arrival experience and lobby. This six month project will update and extend the lobby, add three new meeting rooms to the ground floor and refresh AURA waterfront restaurant + patio.